Our firm often interacts with other professionals, such as doctors, architects, and accountants, in the course of our practice. This can happen in several ways. The first is when such services are needed by our clients in the course of litigation. For example, an architect may be needed to evaluate whether a property can be divided in separate parcels in a partition action. Courts will consider this separation to be the preferred remedy, so the expertise of an architect is often needed to provide their professional judgment on whether the property can be subdivided. Another situation which may occur is when a client states that they received professional services which were not satisfactory. One client informed our firm that the person they hired to prepare and file their professional income taxes had done such a poor job that their business was subject to IRS investigations and liens from the government. When either of these situations occur, our first step is to check the New York State Licensing Division website. 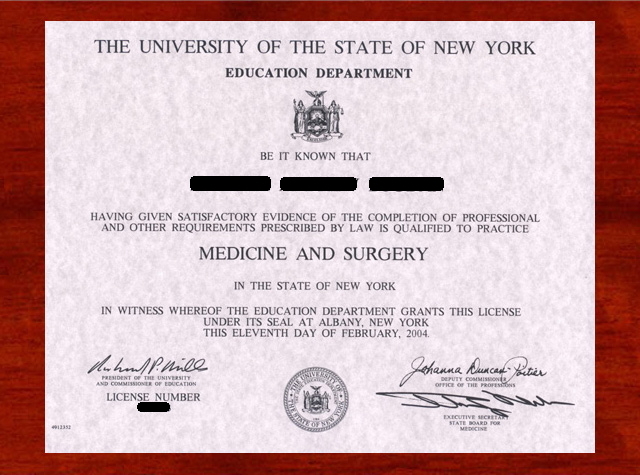 This website allows us to determine whether a person holds a professional license in New York State. Examples of such licensed professions are doctors, nurses, architects, certified public accountants, and other financial and health related occupations. If a person practicing such a professional is not listed as licensed, this would raise several “red flags” in our evaluation of the situation. We have had several situations in which a tax preparer was neither a licensed certified public accountant nor a licensed accountant of any kind. At that point, we informed our client and told him not to use such a person in the future. There are several reasons why using unlicensed professionals is not recommended to our clients. The first is that in order to become a licensed professional, there is a certain level of education and training that is required by New York State. Of course, the specifics of such education and training will vary according to the professional in question. A prospective doctor is required to complete medical school, pass certain types of board examinations, and complete a residency program before New York State will license her as a physician. Other professions have similar, if less rigorous, training and examinations. Continuing education is often required to maintain and renew professional licenses. In addition, licensed professionals are held to a higher legal standard than those without a license. A certified public accountant, in preparing one’s tax returns, is expected to meet or exceed the standard of the “average” licensed CPA in preparing and filing tax returns. If he does not, he may be subject to a malpractice lawsuit. In a malpractice lawsuit, the aggrieved party is alleging that the professional did not meet the standard of an “ordinary” professional in providing the services in question. A professional who does not follow what is considered standard or basic procedures in providing their services may be subject to a claim for legal damages resulting from such failure. Legally, one cannot hold an individual to a standard of practice of a licensed professional if they are not a licensed professional and do not hold themselves out as being one. For example, the person who uses a tax preparer who is not a licensed accountant cannot claim that the preparer should meet the legal standard expected of a certified public accountant. For that reason, a malpractice suit against an unlicensed professional may not be successful, as there is no professional standard by which they may be judged. Our firm welcomes all inquiries regarding possible misconduct by professionals, including accounts, architects, and doctors.